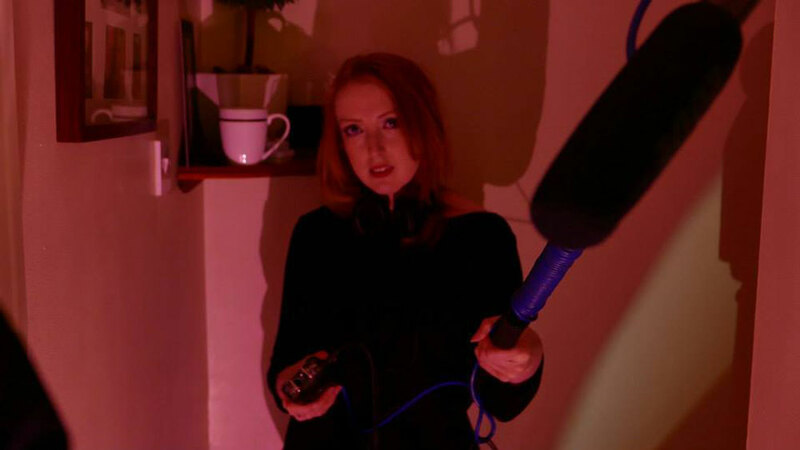 Exclusive interview for Women in Horror Month with Anna Dixon: filmmaker, producer, and a key driving force behind the indie film studio Mycho. 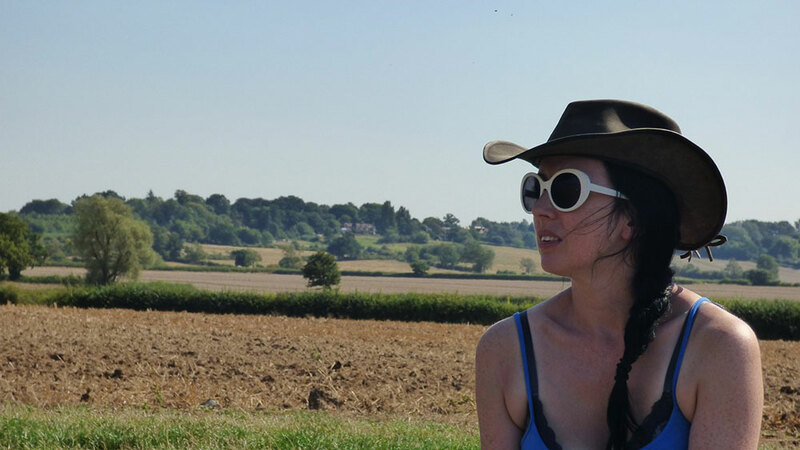 Anna Dixon is a multi-talented filmmaker and producer who is recognized as the backbone of the production company Mycho, a company whose films we love and cover often here on Morbidly Beautiful. 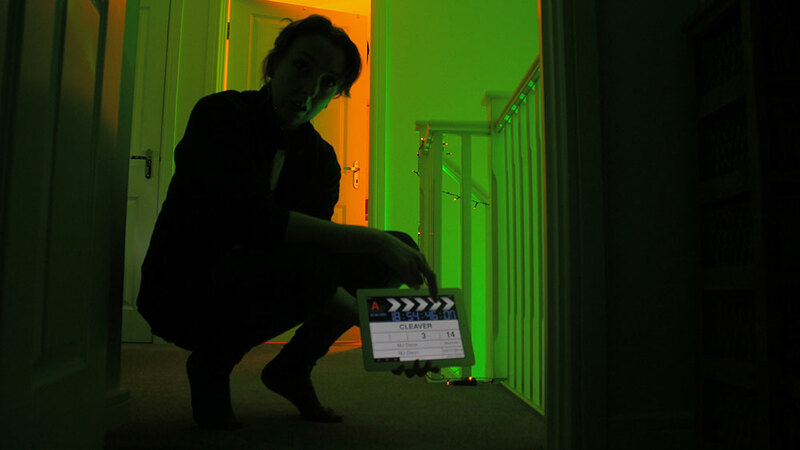 I got a chance to ask Anna Dixon a few questions about her career, what Women in Horror Month means to her, what it’s like working on a micro Mycho-budget and how she overcomes the challenges of indie filmmaking, and what she’s working on next — including the upcoming film Pandamonium. It means a lot to me, mostly because I believe it highlights how inclusive and ahead of the curve the horror community is. Horror has always felt to me the most inclusive and progressive genre that’s open to all, no matter their background. I can’t think of a parallel in any other genre to WiHM and long may it continue to inspire women both in front of and behind the camera. 2. Why did you decide to get into filmmaking originally? Ironically for WiHM, because of a man! I met MJ Dixon in around 2010, and I started to help out in small ways on his music video and short film sets, as well has having a very brief (and very dead) appearance in Slasher House. I caught the bug instantly and began to help more behind the scenes, negotiating distribution deals, and soon took on the role of Producer for Legacy of Thorn (2016). I’ve not looked back since. 3. What attracts you primarily to the horror genre? I love the versatility and scope for creativity in the horror genre. Taking our two films from last year, they are both very, very different in story, technicality, performance, everything. Horror can be suspense, gore, comedy, thrills and chills and so much more. I can’t imagine anything else being this much fun. 4. You have undertaken various responsibilities on the film set including acting and makeup, but you are best known for your role as a producer. How would you describe your overall responsibilities as a producer. On a Mycho set, no one really has one set job because we are usually made up of a handful of people who take on extra tasks as the need arises. My main roles in pre-production are things like casting, co-ordinating and scheduling, location scouting and management, shot, prop and effects lists, anything logistics based really! Once we’re on set, we all muck in together, but I try to make sure everyone’s ok, knows where they’re supposed to be and when and that they get fed and watered. Sometimes it’s difficult to juggle with doing sound, AD stuff or makeup, but we have such dedicated friends to help us that it feels like a little family. 5. You have a lot of responsibility as producer to make sure things run smoothly throughout production, but what would you say is the hardest part of being a producer – especially on a micro-budget film? On a micro-budget (or even lower, a Mycho-budget) film, the hardest part is lack of money. Problems are much easier to fix with a bit of cash! It does make us creative and able to think on our feet, though. Scheduling is probably the most difficult — getting everyone in the same place at the same time as well as trying (and usually not succeeding) to shoot in script order for sanity’s sake. We’re lucky that we’ve mostly worked with absolute dream actors who will make my job as easy as possible! 6. You continue to work closely with your husband, writer-director MJ Dixon. Does your relationship make it easier or harder when working together on a film? Ha ha, it probably depends what day it is! I guess it can be difficult at times, because we can’t really leave set arguments on set, and producer/director relations are notoriously argumentative! We did start off as very close friends who happened to go on to get married, though, so we do enjoy each other’s company and work well together bouncing ideas around. I honestly can’t think of anything I’d rather do than work with MJ making films all day, even on the tough days. 7. You form part of the production company Mycho Entertainment. How did the company first come about? MJ started Mycho about 15 years ago, before I knew him, making short films and music videos. 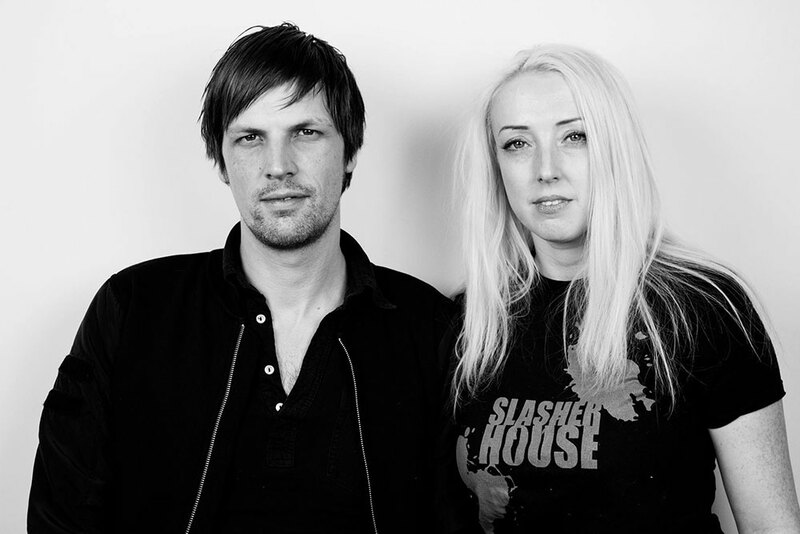 He shot his first feature, Slasher House, in 2010 around the time we met, and together we’ve gone on to make seven more feature films as well as shorts that compliment them. MJ is quite inspirational as a filmmaker and does a fantastic job of showcasing what Women in Horror Month is about all year round. I’m extremely proud of what he’s achieved. 8. 2018 was a busy year as you produced two feature films (Cleavers: It Runs in the Family and Bannister DollHouse) and two shorts (Molly, Eric A Tale of Thorn) which were written and directed by MJ Dixon. How difficult was the process of producing so many micro-budget films in one year? Last year was tough for many reasons, but the films were probably the highlight. Bannister and Molly had the same, small cast and was logistically straightforward once we had a location. It was a tough shoot though, with a lot to pack in over a small amount of time. But some of the gang made it such a blast, and Georgie Smibert took over food duties — best caterer in town. In contrast, CleaverS was a logistical nightmare with family road trips, American diners, abandoned farms and two killer clowns to organize. We had so many technical issues on CleaverS, and it took much longer than anticipated, but what a fun group of people to spend the summer with! I miss all of them so much! It definitely kept us busy and rinsed our resources, but worth it in the end – once we’d had a bit of sleep! 9. Both Cleavers: It Runs in the Family and Bannister DollHouse have strong female leads, which is a common theme throughout your productions. Is this something you feel is important to include in your films? Massively, and it’s something both MJ and I are very passionate about. We want the representation of women in our films to be as well-rounded lead characters with flaws, problems, goals and ambitions — and not just to be there as cannon fodder or the perfect hero. For example, Howells, played by Georgie in CleaverS, is an obsessive, alcoholic cop who has completely abandoned her post for a vigilante mission to catch the clown that haunts her nightmares. Nevertheless, she’s tough, fierce and selfless in the face of danger. We definitely lucked out with the actresses we’ve worked with to bring the characters to life. 10. You start filming in March on your next feature film entitled Pandamonium. Where does this fit into the Mycho Universe and what can people expect? So, Pandamonium fits in just before Slasher House 2 (2016) in terms of timeline. It features the panda-headed serial killer Jacob Jakushi, who we met briefly in Slasher House 2 trying to murder our stripper-turned-investigator Amber (played by Luna Wolf). People can expect a bit of mayhem with this film, more of the feistiness of Mycho with a bit more blood, booze and chaos thrown into the mix. We’ve affectionally nicknamed it ‘Strippers vs Pandas’ — and if that doesn’t make you want to see it, I’m not sure what will! 11. Do you have any other projects which you are working on at the moment? We’re working on the releases for CleaverS and Bannister Dollhouse this year and have some pretty cool news about that to announce soon. We also have another film in pre-production for later this year. I won’t say too much, but it’s the finale of a three-part series of films we’ve been working on for some time and means we get to work with our favorite Wolfgirl again! We are also going to have a little bit of time off to have a baby, as he’s due in June, but we’ll get him trained up quick to help out on set. 12. Are there any other women working in horror who you feel don’t get the recognition they deserve and whose work we should look out for? There are so very many! I would like to shout out to the inspiring women that we know and love and who are also out there making fantastic films in the genre such as Maria Lee-Metheringham, Luna Wolf and Dani Thompson. I would highly recommend anyone to follow the work of these three women. 13. If someone was looking to get into filmmaking, what advice would you give them? I feel like I could go on forever with this! Be nice, always – to everyone: actors, crew, location people, people who watch your films, people who need advice, everyone. That would be number one. People don’t have to help you, and your filmmaking career will be short lived if you get a reputation as an ungrateful diva. If you do come up against toxic or dramatic people who harm your film and make life miserable for other people on set, ditch them immediately. Reshoots are easier, this I have learned the hard way, and the rest of the cast will thank you for it. And remember, it’s supposed to be fun. We’re certainly not doing it for the money, so try to remind yourself that this is an amazing thing to be doing and try to enjoy it! You can find out more about Anna Dixon and Mycho Productions on the following websites and social media pages. They say that behind every great man is an even greater woman – need I say more!